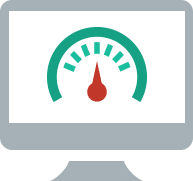 CodeGuard’s systems perform at 99.9% levels, which means that roughly 1 out of 1,000 websites encounters an issue on a daily basis. Hosting providers perform maintenance on servers, customers change FTP login credentials, and IP whitelisting settings for database connections can change, based upon hosting provider server admin activity. These are common behaviors and not cause for concern, as CodeGuard determines the root cause for the lack of connectivity, and emails the customer so they can remediate. CodeGuard relies upon industry best practices to protect customers’ data. All backups and passwords are encrypted, secure connections (SFTP/SSH/SSL) are utilized if possible, and annual vulnerability testing is conducted by an independent agency. To-date, there has not been a data breach or successful hack or attack upon CodeGuard. During monitoring if CodeGuard detects a change, your Customers are sent a ChangeAlert email notifying them of what was added, modified, or deleted and on which date and time. CodeGuard is inspired by problems faced by small business owners. Technology angel investors and venture capitalists funded CodeGuard in the early stages and the company is now profitably growing – so there is no need to worry about your Customer’s backups going anywhere! 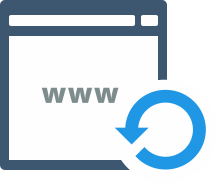 Your Customers can restore their website or database to any previous backup version. They can download a zip of the contents at any time, choose an automatic restore, or restore individual files and folders. Backups are stored on Amazon Web Services Simple Storage System, known as S3. S3 boasts object durability levels of 99.999999999%, achieved by storing redundant copies of data across multiple geographies and facilities. S3 is not the cheapest alternative for data storage, but it is one of the most reliable. If CodeGuard monitoring process detects any changes to the website source code, the files that changed or were added are transmitted to the CodeGuard repository. If any files are deleted, a record of the deletions is also transmitted to the repository. For deletions, those files are removed from the repository; additions are added and changed are overwritten to form a new version of the backup, which is shown within the user’s dashboard.